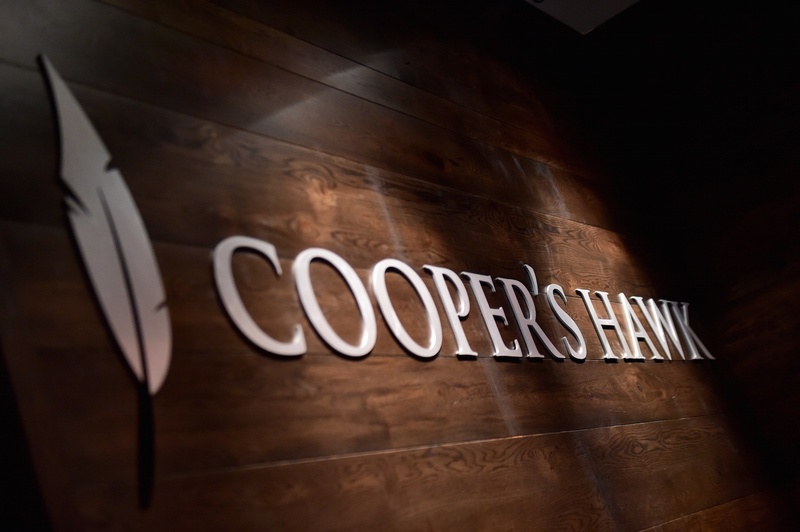 Cooper's Hawk Winery & Restaurant, located in Regency's newly developed Belmont Chase in Ashburn, VA, opened its doors this week. 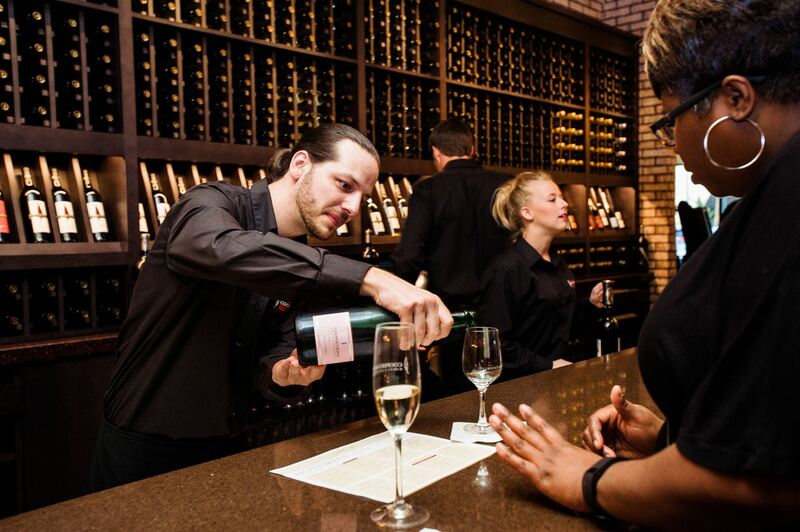 The contemporary-casual restaurant boasts a sophisticated menu that complements Cooper's Hawk award-winning wines. "Belmont Chase is nestled in an area of Loudoun County known as the DC Wine Country," said Jack deVilliers, Investments Manager and Senior Leasing Agent at Regency Centers. "Cooper's Hawk brings a one-of-a-kind dining experience to a region rapidly becoming recognized for its food and wine." Cooper's Hawk's wines are produced in-house, using grapes from the best vineyards in California, Oregon, Washington, and Michigan. Its wines have received more than 400 awards at local, national and international competitions. From a crisp sparkling white to a full-bodied Petite Sirah, Cooper's Hawk bottles nearly 50 varietals – that's a lot of wine! How do you find the time to try all of these wines? 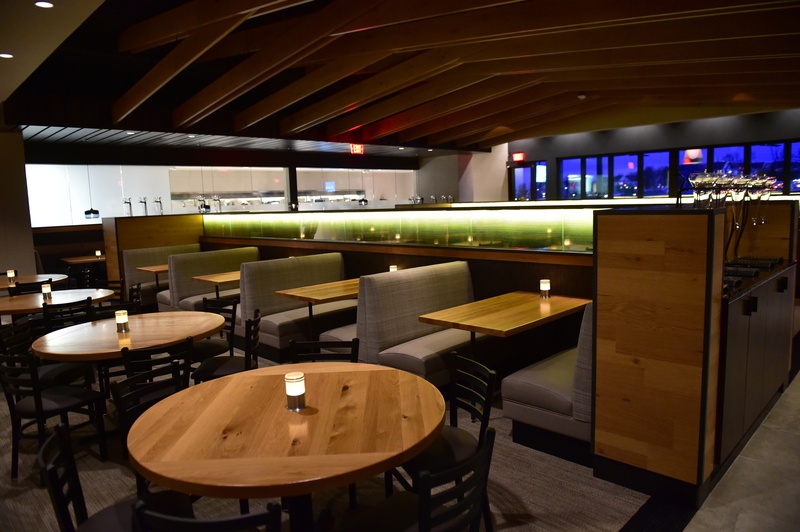 Simple, Cooper's Hawk designed each restaurant to include a Napa Valley style tasting room, where patrons can enjoy eight pours of the latest selections for $7. Once you have completed your tasting, your dining experience awaits. "Ashburn's location features a unique design stamp, touting steel accents and rustic exterior finishes, a look that complements Belmont Chase's urban architecture," said deVillier. Lighting, along with wood finishes, plays an important role in the dining room vibe – interior treatments include honey oak tabletops and soft pendant lighting. Clean, modern lines and elevated window panels pair nicely with the lodge-like ceiling beams and reclaimed wood finishes within the 11,000-square-foot-space. Outdoor seating is available seasonally, and overlooks Belmont Chase's scenic water feature, weather permitting, this will be a popular al fresco dining spot. Cooper's Hawk menu guides you through its lighter fare options to house-made desserts. You will also notice several menu items that have the word ‘BIN' followed by a number. This is the food and wine pairing. 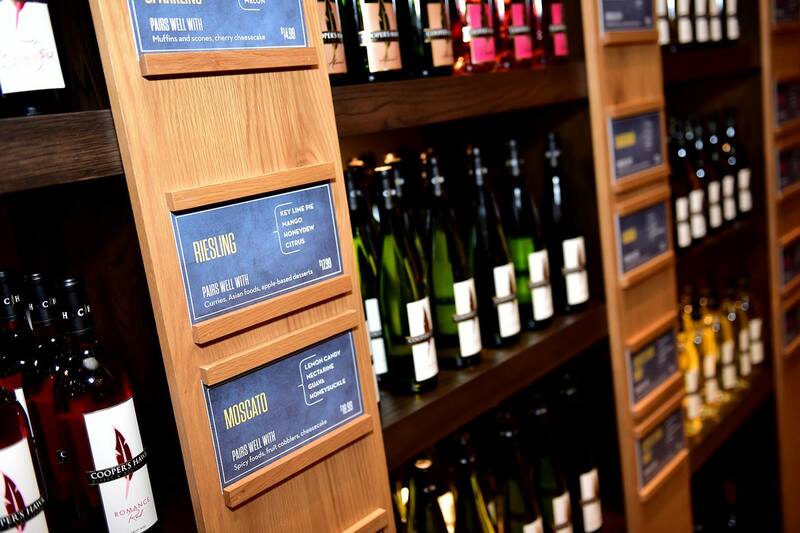 Once you have your entrée selected, visit the wine list for its accompanying wine. 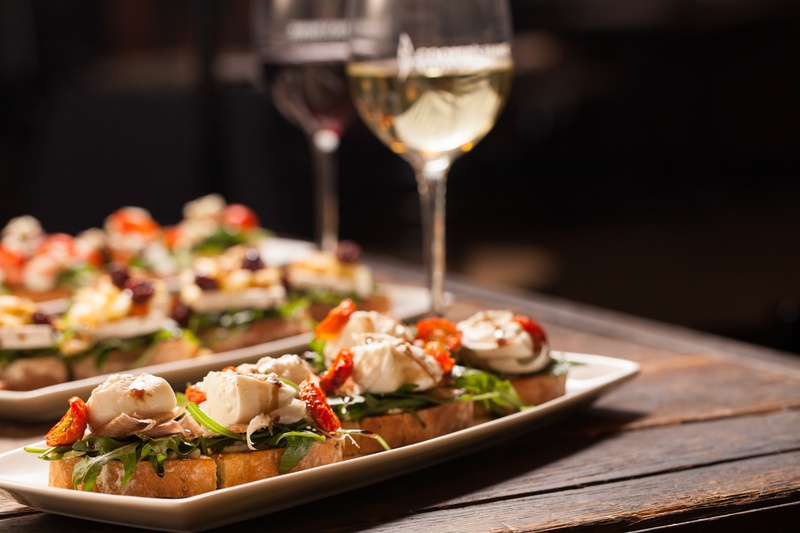 Favorite dishes include crab and lobster bisque soup, soy ginger salmon, Napa chicken, gnocchi carbonara and the ooey gooey butter cake – all perfectly paired with Cooper's Hawk wines. Because wine and romance often go hand in hand, this location will feature a chef-inspired menu available this Friday through Valentine's Day. Add to the romance by enjoying a ‘Sweet Tasting' or indulging in a box of truffles from the bakery case. Want to impress your valentine? Try a bottle of Cooper's Hawk red (my personal favorite is the BIN 87, Lux Pinot Noir – it most notably won a 99 point score at the Critics Challenge International Wine Competition, but they also offer a try before you buy policy) and ask for the Rojaus Grapevine Decanter. As you empty the bottle into the decanter, the wine flows through a glass bubble aerator, softening the tannins and releasing flavor complexities. Trust us, as you pour your glass through the stainless steel spout and swish your first sip, you will feel like a wine enthusiast. The decanter is available for purchase (along with a bottle of wine to go) in the tasting room's gift shop. What better way to surprise your sweetie than an all-inclusive membership to the Cooper's Hawk wine club? Members enjoy handpicked bottle(s)-of-the-month varietals, wine discounts, birthday dining rewards, invitations to exclusive events and more. 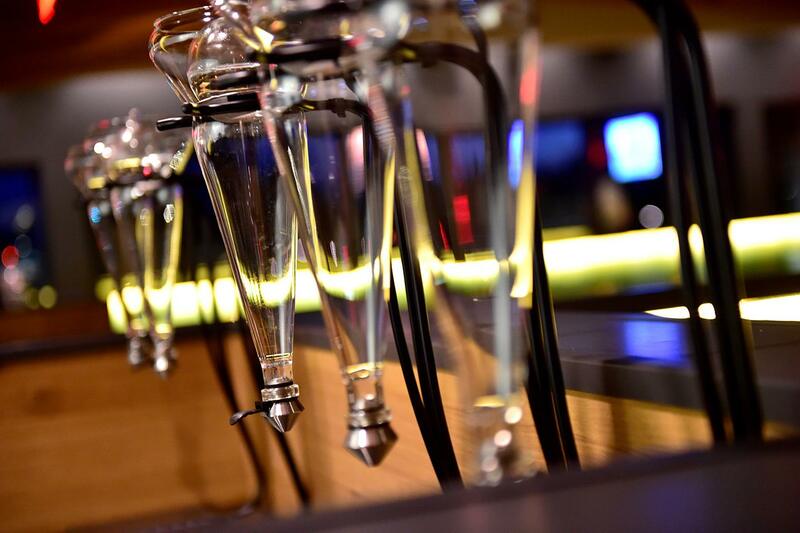 Visit Cooper's Hawk to explore the perks and membership levels.